Some college students in Maine are among a new wave of loggers, who are trading in axes for high tech machines (and extra training). Focusing on the basics, the Pacific Forestry Centre is promoting two conferences that speak to the plant diseases that threaten Canada’s timber crops. A new report on the lessons learned from Lumber IV (by Elaine Feldman, Canada’s former lead negotiator) speaks to what really matters in the NAFTA negotiations. 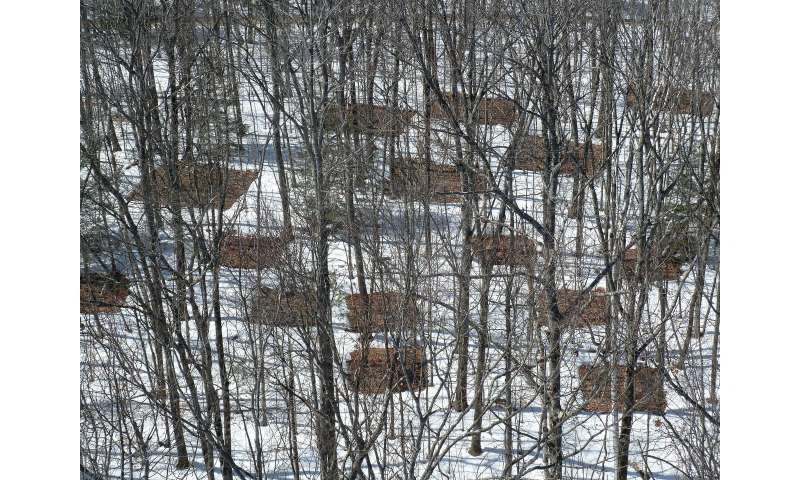 In the Journal of Science, the world’s longest-running study on forest soils and climate change says soil warming stimulates periods of abundant carbon release. And the US Endowment for Forestry and Communities released a report that calls for changes in the way forest and forest products research is addressed. Finally, the Forest Stewardship Council kicks off its triennial global FSC General Assembly in Vancouver, BC this weekend, the organization’s highest decision-making forum. Happy Thanksgiving (weekend) to our Canadian readers. The frogs will be back on Tuesday with full bellies and the weekend headlines. Plant diseases threaten many of Canada’s most important timber crops and tree species. Over the years forest pathologists from Mexico to Alaska have worked together to develop important knowledge on how to manage North American forest diseases. Experts work across borders to discuss climate change, mistletoe, foliage and twig diseases, hazard trees, nursery disease, root disease and rusts. Like people, plants catch viruses too. Blueberry Scorch Virus infects our blueberry crops in BC, and infected plants su er with sluggish growth that reduces yields. Another example is Blister Rust of white pine trees; this fungal disease severely a ects this tree’s survival. Pathologists use a range of tools to combat these diseases, but not creating the conditions for them to ourish is one of the most important steps. The Town of High Prairie is proclaiming Oct. 6 as West Fraser Day in recognition of the company’s contributions to the community. While council was unanimous in its support for the proclamation, a long debate ensued over whether or not councillors would get paid to attend the open house. “If you want to go, go, but you aren’t able to charge,” said Councillor Brian Panasiuk. “I like the idea of proclaiming West Fraser Day. I’m all for it,” he added. Mayor Linda Cox presented the idea to council. BUCKSPORT — The Verso paper mill closed in 2014, but three years later, a new type of wood-based industry might be starting at the old mill site. Last month, the Searsport-based business Maine Biomass Exports Inc. started stacking logs of hemlock on a former wood yard at the site. The business has a six-month contract to lease the land from AIM Development, which owns the property. Once they arrive at the wood yard, the logs are debarked and trucked to Boston. The bark is used to make mulch, while the logs are shipped from Boston to manufacturers in China, according to Arthur House, the president of the business. “Right now we’re putting logs on trucks and sending them to Boston and sending them to China,” he said. House said he employs a dozen people at the site and has brought in $1.8 million worth of equipment to debark the logs and put them on trucks. Now in 3-D! Could robotic building be the solution to the area’s housing crisis? Fancy this: With the wave of a wand, your American dream comes true right before your eyes, move-in ready in just days and at a bargain-basement price. 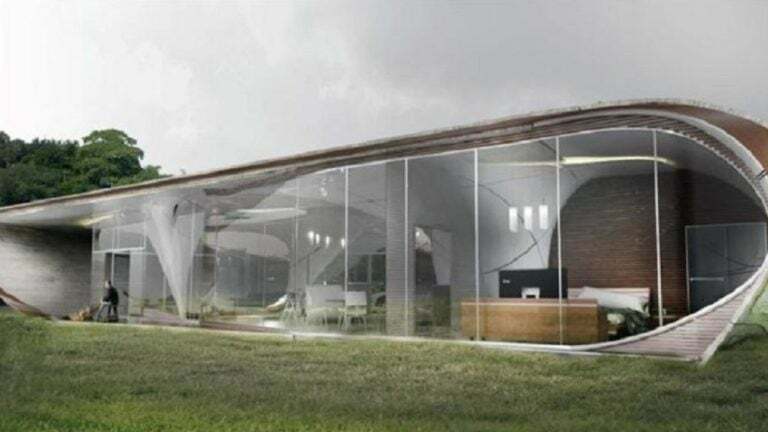 That’s the wish of startups and labs expanding 3-D printing from architectural modeling and parts production to actual home building. …At least one Boston-area company is pursuing that. Prisna, of Everett, is promoting online its “patent-pending automated construction process,’’ transmuting 3-D computer models into “instructions for the robotic fabrication of structures.’’ “The biggest issue is getting cities and towns comfortable with the building-permit process for them, given the materials they’re made of,’’ said Greg Vasil, chief executive of the Greater Boston Real Estate Board. “They’re very different.’’ House-printing companies have to navigate permitting processes not designed for them… Vasil said. HILLSBORO, Ore. — As a crane lowered a “glulam” beam and construction workers on either end deftly guided it into connection with two upright wooden columns, a tour group member shook his head and said, “It’s like Lincoln Logs.” Kind of. Which may in part explain some of the attraction of builders and designers to the potential use of strong, precisely engineered, carbon-storing wood beams, columns, wall panels and floor decking. As Chris Evans, a Swinerton Builders project manager put it, wood is the first building material people use to make the forts, homes and hideouts of childhood. These days, builders and designers are joining mill owners, university researchers and policy makers in taking a fresh look at advanced wood products, “mass timbers” and what’s come to be called “tallwood” design. Advocates believe it can replace concrete and steel in mid- to even high-rise buildings, and provide an economic jolt to rural Oregon in terms of forest management and mill jobs. Maine’s vast woods have long fueled the major engines of its economy. While those engines don’t run like they used to, the fuel is still abundant and growing. The state could benefit greatly from turning the lumber from those woods into a variety of new products. But that’s often a process that lingers in the laboratory or doesn’t leave it at all. For that reason, it’s easy to overlook the simple potential we have to use old, simple sawlogs for new things — like building structures again. While carbon-cutting goals in Europe drove the continent to lead the way on new types of wood construction, companies in Maine and other states have shown that buildings made of new types of manufactured wood can compete on cost with steel and concrete structures. And that’s while importing those types of wood — called mass timber — from Montana or Austria. The economics say it all. More wood construction is coming. Maine government won’t create that market, but there’s a way it can help guide it along, to the state’s benefit. Vancouver is the chosen venue for the triennial global Forest Stewardship Council (FSC) General Assembly, the organization’s highest decision-making forum, taking place from October 8-13, 2017. Over 800 delegates from over 80 countries representing the environmental, social and economic chambers of FSC are expected to attend this important event to discuss the direction of FSC’s policies regarding global responsible forest management. Canada’s Boreal Forests will be one of the key topics discussed and this year’s GA is honoured to hear from representatives of Canadian federal and provincial governments who will deliver speeches during the event. Independent Commission Recommends New Approaches to Forest Sector Research in U.S.
LITTLE ROCK, Ark.- Lawmakers from Arkansas to Oregon are pushing for Federal Forest Management changes that they say are designed to prevent wildfires. …Other lawmakers are against these changes as they say the legislation is a give away to the timber industry. Supporters of the legislation say raging wildfires and the destruction they cause are a direct result of mismanaged federal land. …The legislation …passed another committee this week. However, getting it through the Senate will be more difficult as some worry about about the impact. “I don’t think we can log our way out of the problems that we do have today,” said Jim Furnish, a former Deputy Director of the US Forestry Service. Furnish says he blames climate change for the increase in wildfires and says the proposed legislation is a gift to logging business. “This is a return to …when the timber industry had heavy sway,” Furnish said. In his latest prescription for healthy forests, Rep. Greg Walden, R-Ore., is surgical in his approach. Surgical in his language, his timing, and his determination to derail second opinions and judicial review. …His bill would grease “salvage” logging and reforestation projects in the Gorge and any other National Scenic Area following a “natural disaster.” …Walden believes the way to restore the charred edge of the Columbia Gorge, home to the Mark O. Hatfield Wilderness Area, is to fill it with logging trucks. The sooner the better. 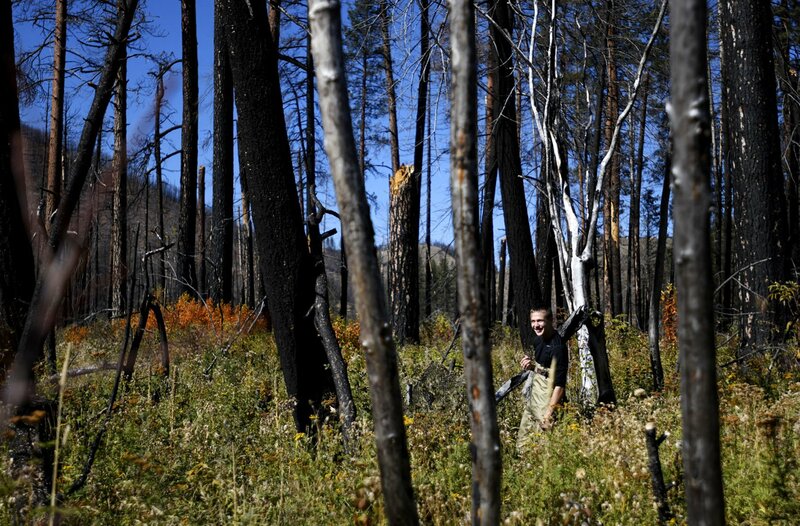 As soon as a fire or other disaster is “contained,” he argues, the Forest Service is on the clock to license a timber salvage operation. …And get this: Once that frenzied charade shuts down, Walden’s bill prohibits any legal challenge to the log-a-palooza. …Unfortunately, salvage logging can’t be conducted with similar surgical precision, especially on the dense slopes of the Gorge. Woodpeckers found in the Black Hills will not be listed as threatened or endangered, the U.S. Fish and Wildlife Service has decided. The decision was published Thursday in the Federal Register. 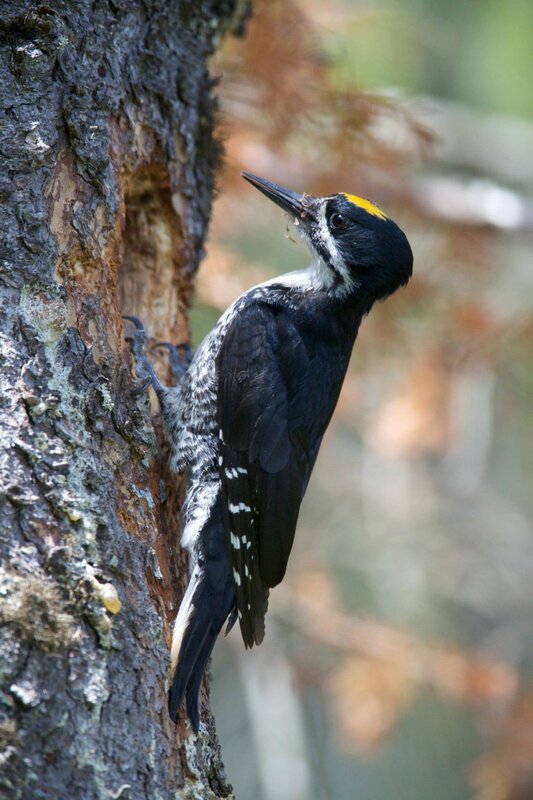 The 2012 petition to list the Black Hills and Oregon-Cascades/California populations of black-backed woodpeckers as a threatened or endangered species was filed by the John Muir Project of the Earth Island Institute, of California; the Center for Biological Diversity, of Arizona; the Blue Mountains Biodiversity Project, of Oregon; and the Biodiversity Conservation Alliance, of Wyoming….The listing petition was opposed by the logging industry, because it could have led to a reduction or elimination of logging in areas frequented by the birds. Ben Wudtke, forest programs manager for the Black Hills Forest Resource Association, a logging-industry group, issued a written statement supporting the U.S. Fish and Wildlife Service decision. …With the help of volunteers — including Florence-Carlton High School students — the Clark Fork Coalition and the Lolo Watershed Group planted more than 1,000 plants along 840 feet of Lolo Creek in April 2016 as part of an effort to restore riparian habitats razed by the 2013 Lolo Creek complex fire. Vanessa Hafich’s Rocky Mountain ecology class returned to the sites later that summer and again on Wednesday to survey their work. “Take your time and do a good job,” Katie Racette reminded one group. “Because this is data we’re using for real.” The restoration project was funded by a grant from the Montana Department of Environmental Quality. That project includes reporting requirements to ensure the work was completed, to gauge the success of spending and to inform future conservation decisions for the area. PORTLAND, Ore. – A Ninth Circuit panel seemed interested Thursday in an environmental advocate’s novel argument against what has become an increasingly standard practice in wildlife management – killing droves of one wild species in an effort to benefit another. Friends of Animals sued the U.S. Fish and Wildlife Service over a 2014 plan to kill thousands of barred owls, which in recent decades have encroached on the old-growth forest habitat of threatened spotted owls. The service said it wanted to kill the birds as an experiment to determine whether reducing barred owl numbers would benefit spotted owls. While spotted owls are listed under the Endangered Species Act, barred owls are protected under the Migratory Bird Treaty Act. 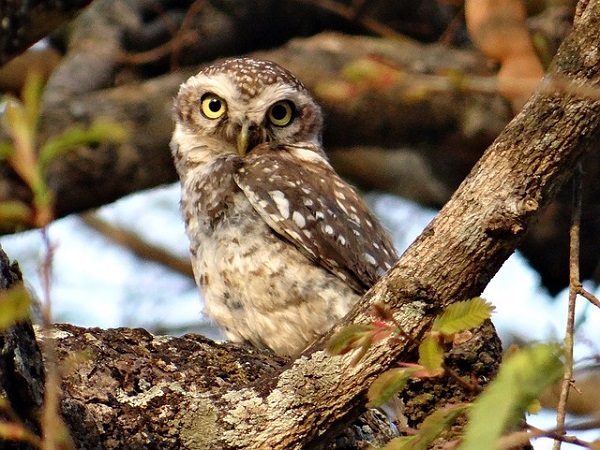 Friends of Animals claimed the plan ignored the fact that the real problem was habitat destruction caused by deforestation, and instead unfairly scapegoated a protected wild animal for the spotted owl’s human-caused decline. WESTERN OREGON—…In the 1980s, Jerry Franklin, forest ecologist became a hero to many conservationists thanks to research that helped lead to a controversial 1994 plan protecting millions of hectares of old-growth forests in the Pacific Northwest from logging. But one morning this past summer, Franklin stood on a dirt road in southwest Oregon gazing at a logged hillside that was the antithesis of a lush, old-growth forest. The chainsaws had left stumps, piles of tangled limbs, and a smattering of standing trees, along with bushes and grass. “The scene of the crime,” he declared, with a hint of irony. Today, in the twilight of his life, the 80-year-old scientist has become a champion of this far different landscape, which he sees as vital to supporting a full range of forest species. DEADWOOD — The county’s timber committee is back in action, following appointments made at the Sept. 26 meeting of the Lawrence County Commission. Their mission? 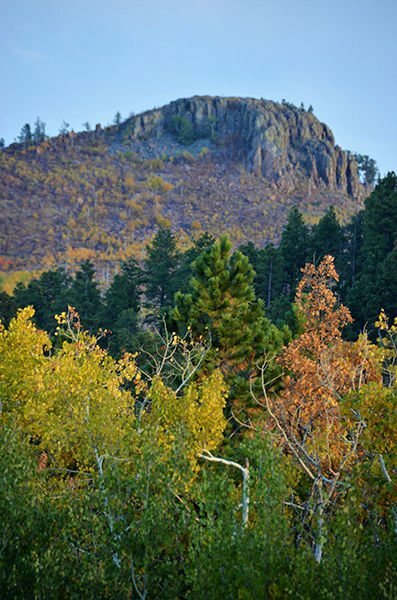 Black Hills National Forest officials recently issued a 245-page Draft Environmental Impact Statement (DEIS) for the Black Hills Resilient Landscapes project, and a 45-day comment period, which began Sept. 15, is currently in effect. …The purpose of the proposed project is to move landscape-level vegetation conditions in the project area toward objectives set by the amended Black Hills National Forest Land and Resource Management Plan, in order to increase ecosystem resilience to insect infestation and other natural disturbances, provide diverse wildlife habitats, contribute to public safety and the local economy, and reduce risk of wildfire to landscapes and communities. The project focuses on increasing ecosystem resilience to disturbances such as severe wildfire and mountain pine beetle infestation. Foresters for the city of Astoria have long maintained that logging in the Bear Creek Watershed is being done to improve the forest rather than for the money. Why, then, is the amount of revenue generated for the city by logging in the watershed always mentioned when that practice is discussed by the City Council or the Public Works Department? In the words of H.L. Menchen, “If they say it’s not about the money, it’s about the money” In addition to learning how much the timber companies make on the harvest, it would be interesting to know if the net revenue for the city includes: deductions for the percentage of their forester’s salary that is devoted to planning and supervising the harvest; other public works salaries for employees involved in preparation for the harvest; cleanup afterwards and road maintenance; and office time handling the business costs involved, including keeping statistics for the 52-page Bear Creek Watershed Forest Management Plan. EAST MILLINOCKET, Maine — Some college students in Maine are stepping outside their classrooms and back into the woods. Following the footsteps of the forest workers before them, they’re among a new wave of loggers, who are trading in axes for high tech machines. In East Millinocket, Maine, industry leaders hope these graduates can return the logging industry to its glory days. “We are in beautiful downtown TA-R7,” says Donald Burr, the head coordinator of the Mechanized Logging Operators Programs. …The logging business today is a far cry from the lumberjacks of yesteryear, and it’s at a critical turning point. …Logging is now done with high-tech machinery and GPS systems. Which require extra training. …While it’s not what it used to be, logging is still a multi-billion dollar industry in Maine with a shortage of workers. The Crow Wing County Land Services Department sold nine timber tracts to be harvested by local loggers for $445,000 at the fall timber auction Sept. 29. The appraised value of the timber tracts was $336,684 with an average sale price of 132 percent of the appraised value. 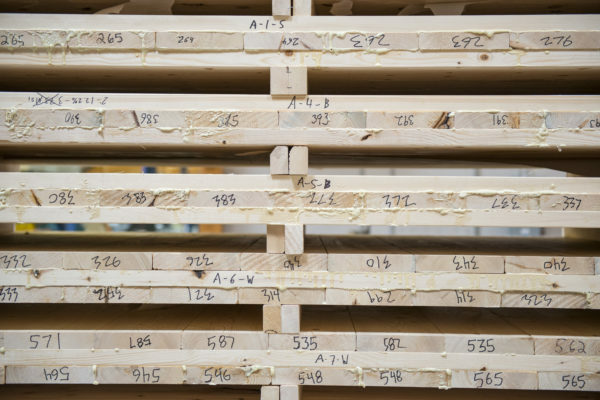 … “Timber harvested in Crow Wing County is utilized in regional mills that produce various wood products such as paper, lumber, pallets and wood shims. In addition, woodchips from timber harvests are used for biomass fuel to produce energy,” Pence said in a news release. …Over the last five years, over $880,000 has been distributed to school districts, townships and cities. County forestlands are also managed to strict environmental standards established by the Sustainable Forestry Initiative and the Forest Stewardship Council certification standards. MACAO, Portugal – Large parts of Portugal’s interior are desolate places these days, with charred trees as far as the eye can see and an acrid smell lingering in the air. 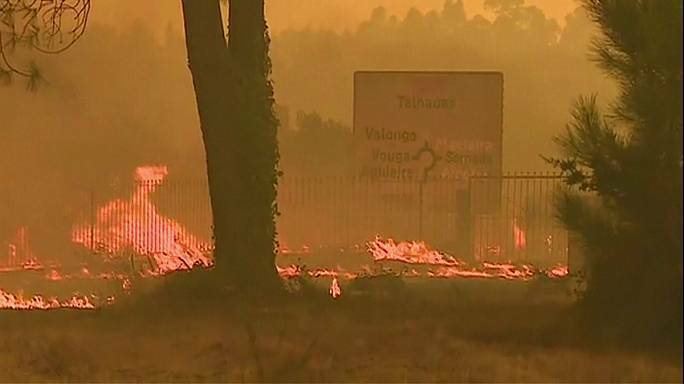 Sixty-four people died in this year’s summer fires, Portugal’s deadliest natural disaster in living memory. Three months after the biggest blaze, it’s hard to imagine anything growing again in the hills around towns like Macao. But the blackened terrain may hold the seeds of a plan that could not only stop the cycle of deadly fires but also rejuvenate the local economy with commercial farming and forestry projects. …The Minister of Agriculture, Forest and Rural Development, Luis Capoulas Santos, told Reuters his ministry stands ready with 600 million euros for forest reform until 2020. After 26 years, the world’s longest-running experiment to discover how warming temperatures affect forest soils has revealed a surprising, cyclical response: Soil warming stimulates periods of abundant carbon release from the soil to the atmosphere alternating with periods of no detectable loss in soil carbon stores. Overall, the results indicate that in a warming world, a self-reinforcing and perhaps uncontrollable carbon feedback will occur between forest soils and the climate system, adding to the build-up of atmospheric carbon dioxide caused by burning fossil fuels and accelerating global warming. The study, led by Jerry Melillo, Distinguished Scientist at the Marine Biological Laboratory (MBL), appears in the October 6 issue of Science.